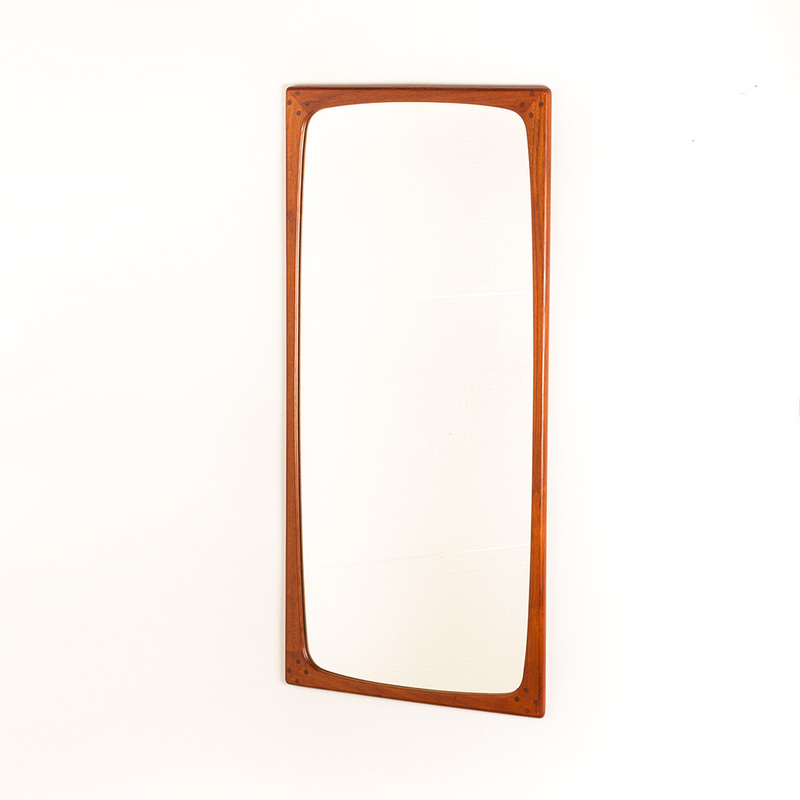 Beautiful and very large Danish mirror designed by Aksel Kjersgaard in the sixties. 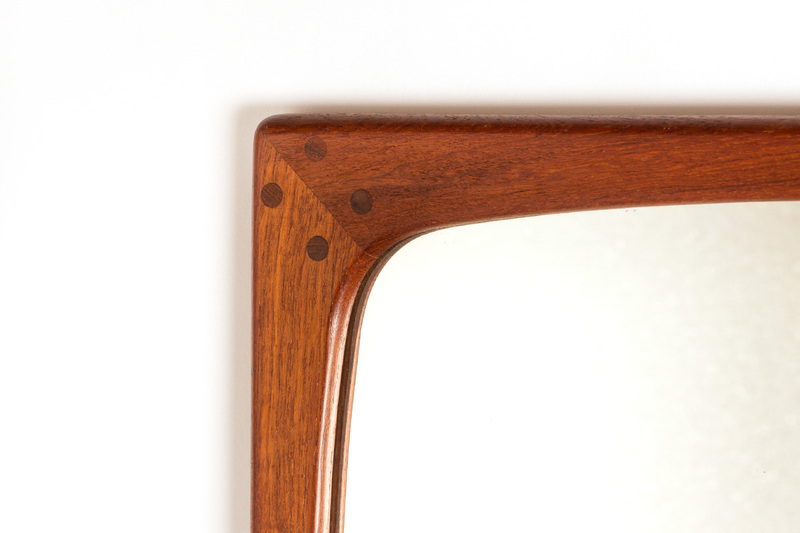 This mirror is in a very good and clean condition and is a fine example of the craftmanship and woodworking skills of Kjersgaard. 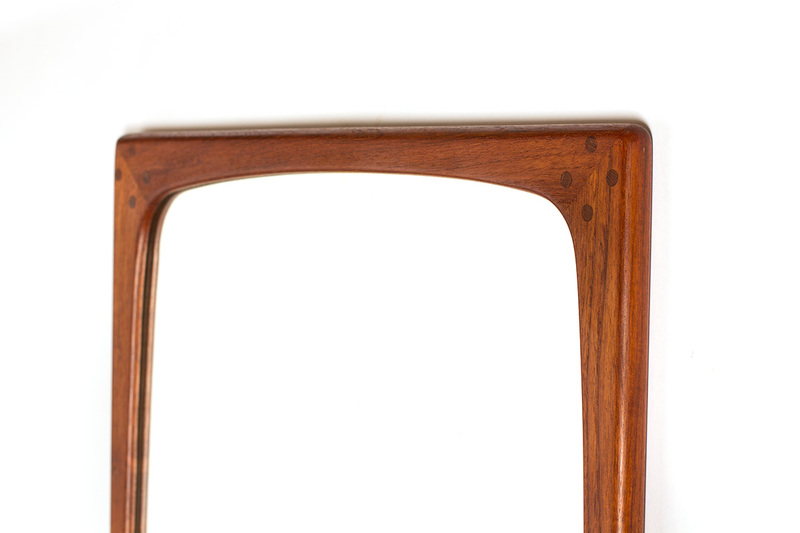 The solid teak frame is hold together with a clever woodconstruction with 4 little wooden pegs in each corner. It is a very large size measuring 100 cm high and 47 cm wide. The price of this mirror is 385 euro. Heb je interesse in deze set Nova hanglampen vul dan onderstaand formulier in en we nemen contact met je op. Are you interested in this set of Nova pendants fill in the contact form below and we will get back to you.